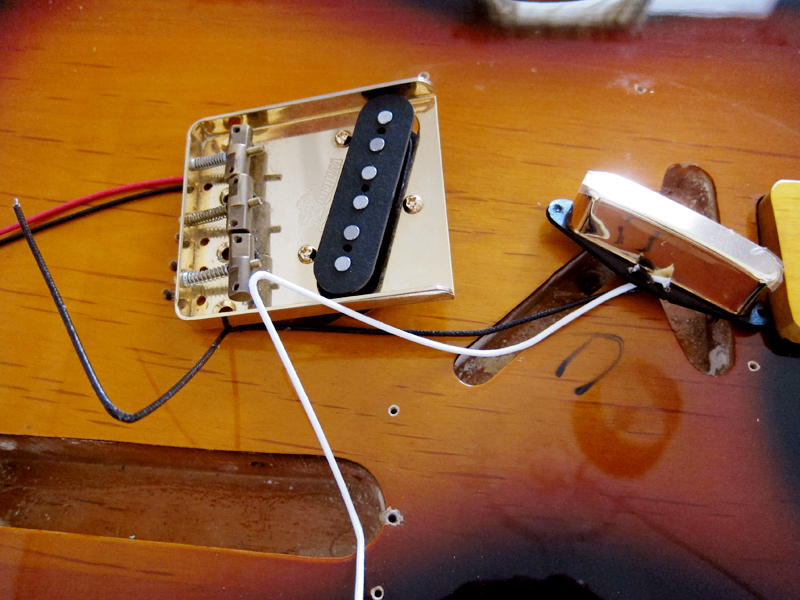 Last Sunday I decided to change the pickups on my old Claescaster. 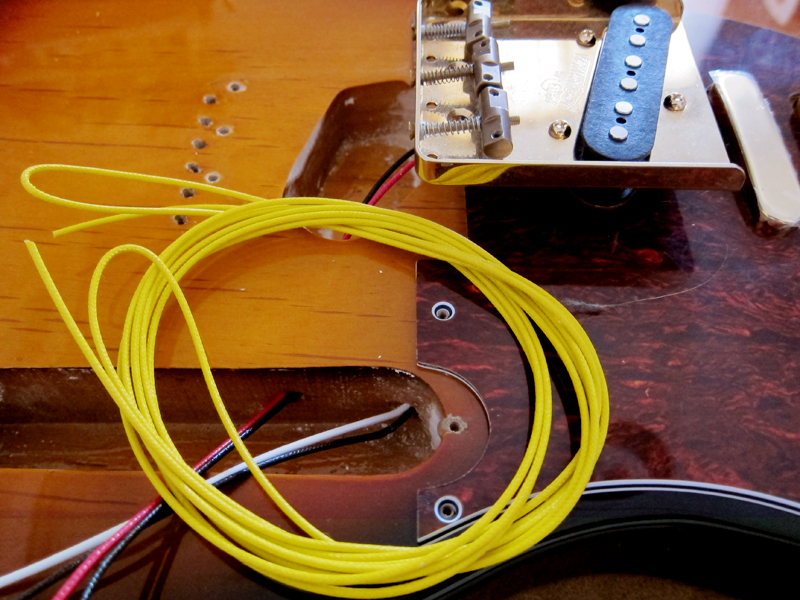 I had ordered a cheap $24.00 set of Artec ones, just regular Alnico V pickups from EY Guitars. 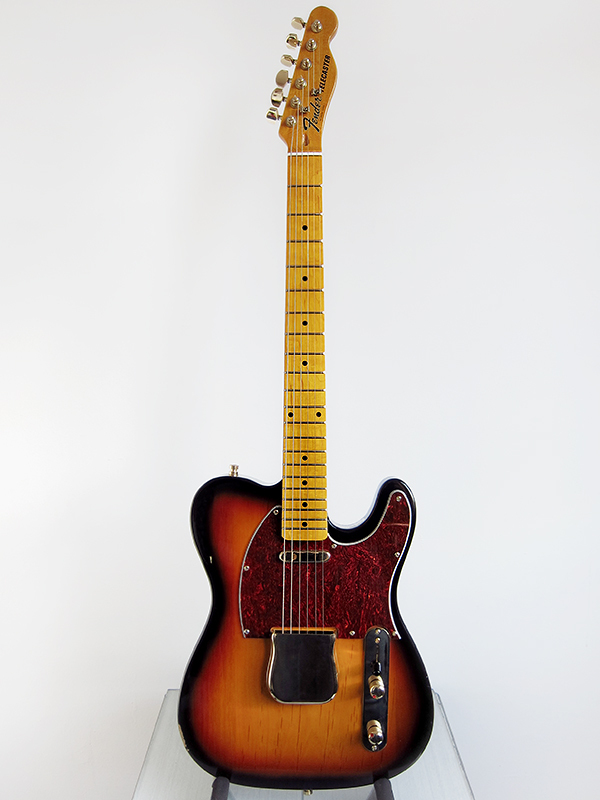 I also ordered a new Wilkinson vintage bridge, without any doubt my favourite Telecaster bridge, since I took the old one and put on the new Claescaster. 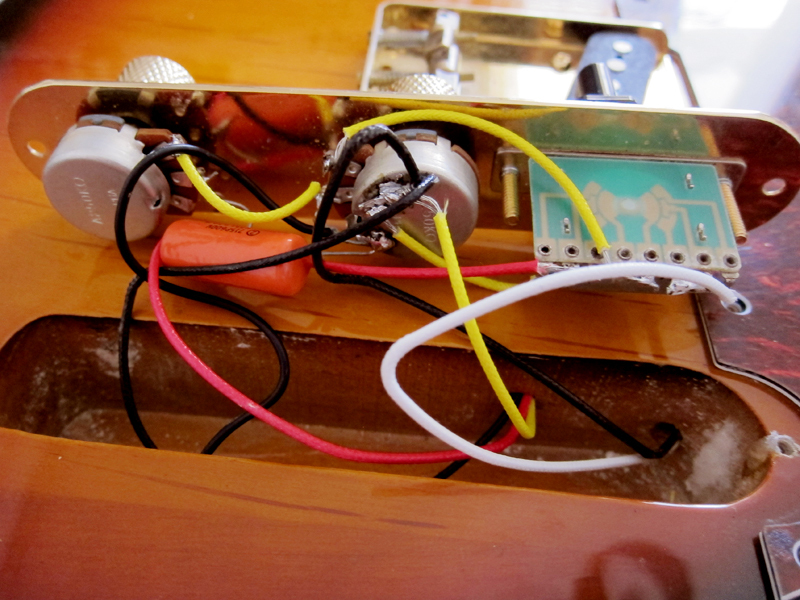 It was a pretty straight forward procedure as usual, I didn’t even have to check Seymour Duncan’s wiring diagram this time. I haven’t tried them properly yet, just plugged them in to see if they worked, well I did a quick little sound clip just to see if there was any difference. 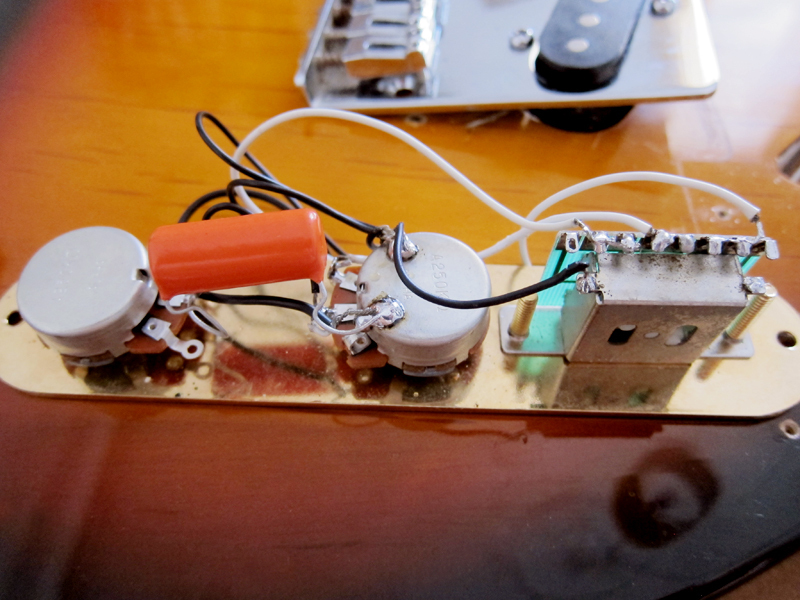 I really like the bridge sound of the new ones, really twangy but the neck might be a bit too muffled. I’m rehearsing tonight so then I will get a chance to play loud and see if it was worth $24.00 or not. 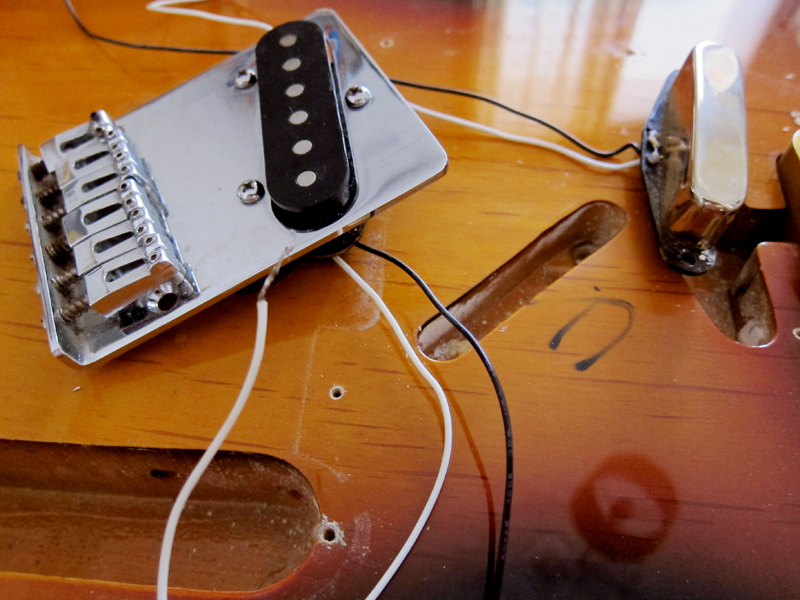 Hopefully the neck pickup will sound less muffled when I play it through my Fender Blues Deluxe which tends to make even humbuckers sound clear and crisp. Please don’t judge my guitar playing too hard, it was after all a Sunday morning after a long weekend. I think you can hear both my cat and my woman going about their business in the background. Update 2013-07-12I might have got a bit too carried away last night because the two sound clips I recorded are very LOUD. I guess I had more fun with my new pickups than I expected. I think they sound pretty good, I’m not the worlds greatest guitar player but to me they sound way better than the old stock pickups. The neck pickup didn’t sound muffled at all through my Fender Blues Deluxe, and the middle sounds sweat like hell, well worth $24.00.